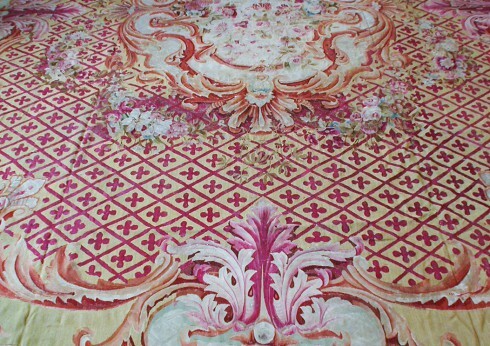 THE AUBUSSON RUG - The remarkable French colors. In the central portion of France, where the Creuse and Beauze rivers converge, lies the historic city of Aubusson, whose past is filled with considerable contributions to the art of rug making. 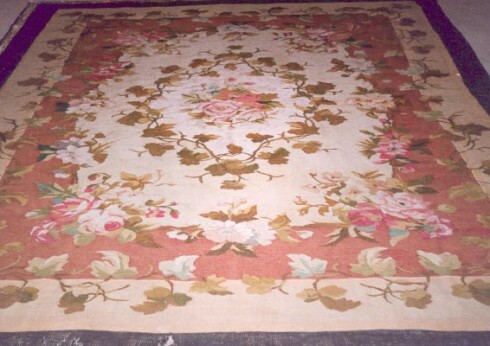 Interestingly, Aubusson is quite small compared to other cities employed in the production of rug handicrafts, yet it has left an indelible impression on the history and culture of rug weaving through its use of superior materials and exemplary design work. Inspired by the dramatic weaving and design displayed on the Savonnerie, Aubusson rugs have cultivated their own impressive sense of French artistry in production. They are generally substantial in size, known for their use in the grand rooms of royalty and the upper class during the 18th century. As a result, Aubusson rugs have earned a well-deserved reputation as being some of the more sought after pieces from this period. Their exceptional history even joins our own at the nation’s capital in Washington, DC, where First Lady Jackie Kennedy had two Aubusson rugs removed from storage and later reinstalled into the the Red and Green rooms of the White House. Until then, most Americans had yet to be exposed to the luxurious extravagance of the Aubusson rug artistry, yet this one action contributed to a further swing in their desirability in Western culture. 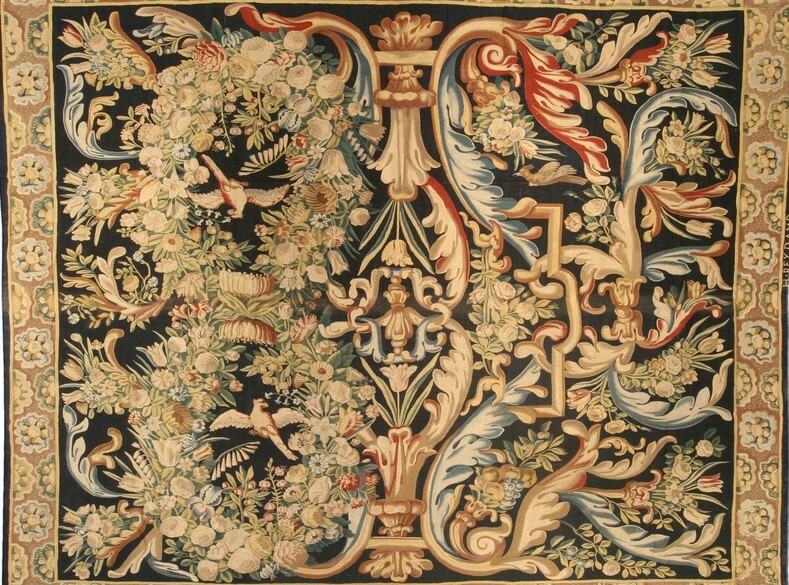 One of the remarkable features of Aubusson rug design is the use of detailed figures and architecture placed against conventional backgrounds of stylized plant life, where wild birds are frequently perched among the branches. This has helped set it apart from others in the rug market, at times being confused as a painting from the Renaissance period while being displayed on the walls of aristocratic homes. An added benefit to those wishing to own one of these pieces is the inclusion of a vast, rich color palette that speaks directly to the distinguishing characteristics of French décor. 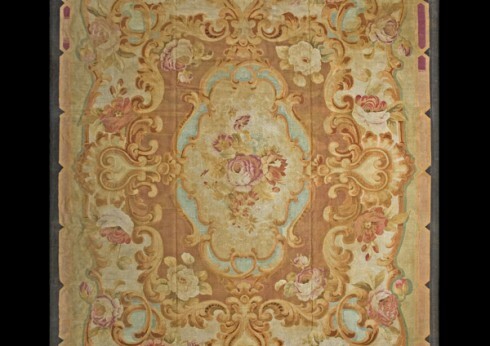 The subtle utilization of pallid green, blue, rose and taupe are common to the Aubusson rug, allowing it to engage well with a variety of contemporary and antique furnishings. Its vitality, however, is found in the expert design and craftsmanship of the rug, giving those who appreciate its splendor a truly breathtaking experience.